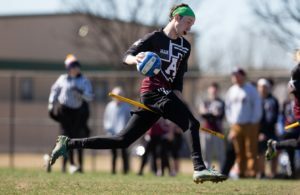 Welcome to the third installment of the Great Lakes Regional Championship and the first regional championship split between college and community leagues. For the main event, we are given a massive round robin. 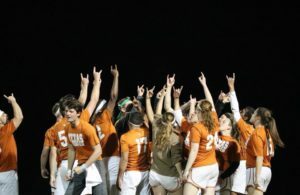 This means that each of the 10 college teams in the region will matchup at some point during the tournament and only half will secure spots to USQ Cup 11. But for community teams, it’s a roshambo MLQ regular season series between Hoosier Daddies, Lake Erie Elite and Ohio Glory for a lone spot. College teams will play nine games over two days. So far this season we have seen numerous in-range games and upsets; of the 10 teams competing at this regional, all but one team have played another in range. Thus, in the 56 games played this weekend, most will be relevant. The 10 teams represent three states. Indiana has the fewest with two while Ohio and Michigan each have four representing them. From Indiana, Ball State University and Indiana University. From Ohio, Bowling Green State University, Miami University (OH), Ohio State and Wooster College. Lastly, from Michigan, Central Michigan University, Grand Valley State University, University of Michigan and Michigan State University. The first game of the tournament will also be the first time these teams meet this season. Last year, Central Michigan had a lot of trouble with Ohio State, including the quarterfinals of their regional. Bright and early, we get a matchup between the keepers who spend the most time in possession of the quaffle in the region: Tré Garzel and Jeremy Mak. Central Michigan should push this game out of range, but Ohio State has been full of surprises this season, like when the team came back from 70-0 to beat Michigan two weeks ago. Over four tournaments Hoosier Daddies have not shown up with more than 13 players on the roster. We haven’t really seen this team full-strength yet, but their results have still been promising. At their first two tournaments, they played Ball State in-range and traded wins. 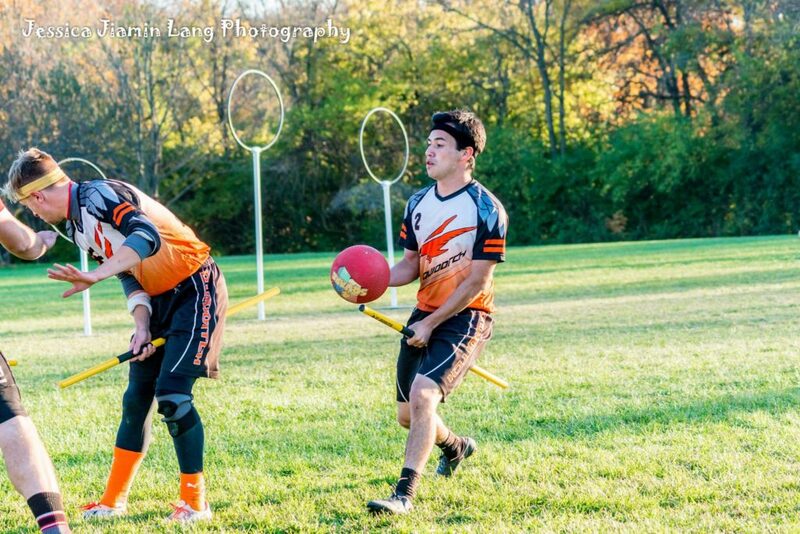 With their largest roster, they lost by 60 quaffle points to a complete Ohio Glory. This weekend they have 14 players. Even with all their pieces, Hoosier Daddies is still an outside chance to win the region, but they could realistically steal games from either community opponent. This game will tell us a lot about what we can expect from Hoosier Daddies’s most complete roster yet. With both teams looking to win the region, the victor of this match will be in great shape to go all the way. While Michigan ultimately caught and won the first version of this match-up at Ball Brothers, the two teams played evenly, with lots of innovation on both sides. Expect both to play a very methodical game with bouts of physicality as needed. Watch two of the region’s quickest players–Max Jolly and Tawfik Abbas– square off. Ball State should be looking to win big but Michigan State has caused trouble for them in the past. This is probably latter’s hardest game, and the team will have it much easier for the rest of the day. Pay attention to the quaffle game, where Rene Ramirez and the Michigan corp will try to slow down the Grand Valley speed. Meanwhile, either Alex Berdy or Brandin Yee are going to have to don a black headband for this matchup to contend with Evan Hoopingarner. If they are successful, Grand Valley could have the tools to score against Michigan, but even with control, it will be difficult to put up points against Michigan. They thrive in a half-court defense frequently able to commit turnovers from just the chasers. Neither team likes to slow the pace down on offense though. Expect a fast-paced, in-range game. You may be tempted to go watch Lake Erie vs Ohio Glory in this time slot, but that would be the wrong decision–the community teams will match up again later in the weekend. For starters, this Ball State/Miami game is likely to be the collegiate regional title match. Both teams are the most-complete college teams and can be predicted to finish No. 1 and No. 2 in the standings at the end of the weekend. The two played at Ball Brothers a few weeks ago, but each were missing significant pieces. The second game of the weekend for both teams, each will be playing its top players with fresh legs and no rust. These two teams have played with opposite strategies this season, and while both have had some success, this game will prove which take is ultimately superior. Central Michigan has played a more methodical game with shallow lines, while Grand Valley is never afraid to push the tempo and go deep into their bench. When they met earlier this month, Central Michigan just barely pushed Grand Valley out of range, winning by 50 quaffle points. This time around, control is going to be key. If Central Michigan gets bludgers early, Grand Valley will struggle to regain control. If Central Michigan converts their early control into early points, it will be tough for Grand Valley to claw back into the game. These two match up very well on paper and–if Ball State fumbles–these teams could end up being the regional final. Each have playmakers at the top of their rotations with consistency behind the first line, as well as seekers poised for a hot run that will likely decide the game. Keep an eye on Michigan’s Tyler Thomas as he drives on Miami’s Nick Stackhouse and Kyle Heinlen. This will be a beautiful defensive struggle where goals in no-bludger situations are far from guaranteed. Let’s call this the beater marathon game. Expect to see Max Portillo, David Banas and Matt Long on pitch as long as they are standing. All three are accustomed to playing the majority of minutes and all three will be crucial to their team’s success in this game. If Bowling Green’s Portillo can work with Cheyanne Dye to control the bludger game, it will still be up to quaffle players like AJ Miller to drive through a tough Central Michigan defense. Expect Central Michigan to play their game with or without control and slowly put Bowling Green out of range. 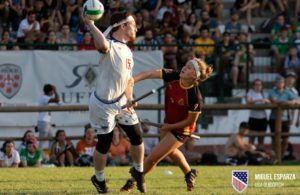 Game two of the USQ’s take on an MLQ series could decide the Great Lakes community champion or it could mean there will be a de facto championship game at the end of the day. Either way, this is the single game to watch of the tournament. Both teams will have about 18 hours since their last matchup to figure out how they want to play this game. 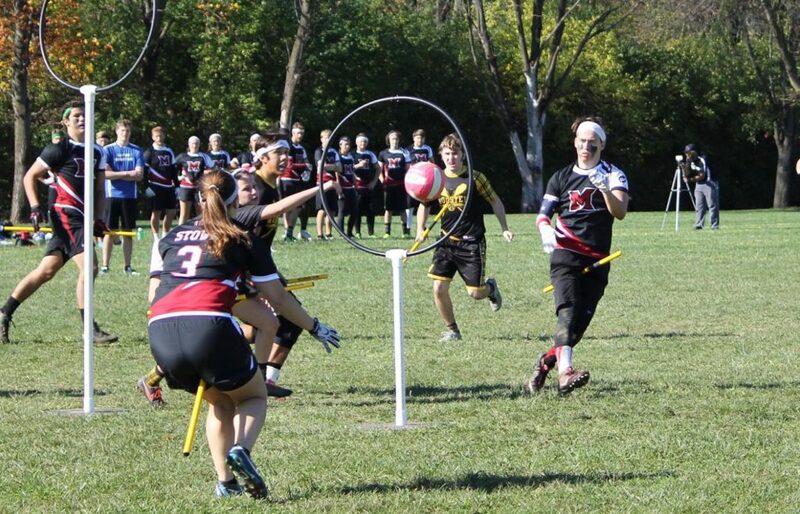 With so much experience between both rosters, expect a lot of new strategies and possible line changes, all pointing to a very exciting game of quidditch. The two teams match up very well on paper. Each have playmakers at every position. 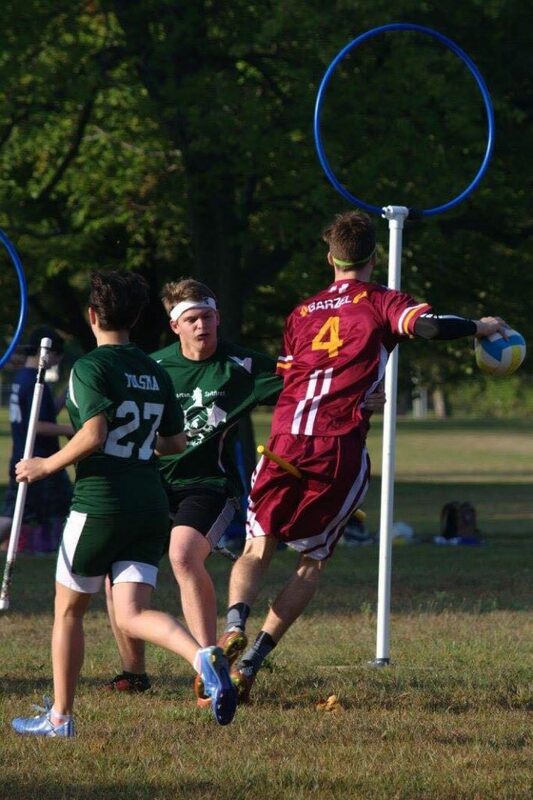 Glory will need rookie players like chaser Mike DeLuca to step up while Lake Erie hopes to find more team cohesion. The only game between these two at Ball Brothers was a game of runs. Lake Erie took an early lead, nearly putting Glory out of range, but Ohio Glory came back to even the score before the 18-minute mark. During snitch on pitch, Lake Erie nearly took the game back out of range before Jason Bowling caught to win. This game should end just as dramatically. Peter Brechting will be the difference in this game. Grand Valley will need to figure out how to slow down his aggressive beating or Miami’s chasers will run all over them. Grand Valley did a good job at Ball Brothers but that was a Miami without Paolo Federico-O’Murchu. With him at beater, Grand Valley will need to tone down their fast-break style offense or move more resources to the beating game. While this is Miami’s game to lose, the team was only up two goals the last time they played Grand Valley. This matchup has all the makings for an upset. Michigan State begins a tough second day, when every single game is a must win for their bid hopes. Central Michigan is a winnable game for the Spartans, but they will need to use their top lines wisely. If the game starts getting out of hand, it may not be the worst idea to cut losses and conserve energy for later slots. Michigan State has the beating to push Central Michigan, but they will need to find scoring outside of Kyle Judkins and Abbas if they want to compete with Central Michigan. At this point Grand Valley could be on the cusp of a regional bid, while Ball State may be looking to solidify their regional title. This is also another example of one team–Ball State–playing very shallow lines while the other’s–Grand Valley–bench has a lot of experience. Ball State has more talent at the top of their rotations but may want (or need) to go deep at this point in the tournament. That could play right into Grand Valley. Ball State’s Hayley Bashore will be the player to watch in this game; Grand Valley doesn’t really have a player who can physically match up with her. For Grand Valley, it will be what positions the trio of Marques Artz, Berdy and Yee are playing. At this point in the tournament I expect both of these teams to need to win this game. Bowling Green won’t want to wait until their final game of the day against Miami to clinch a bid and Michigan State will still have competitive games against Michigan and Grand Valley to face. To win this game, both teams will need to put all of their cards on the table. Look for the matchup between Zack Belknap of Bowling Green and Judkins of Michigan State. Judkins is a very good driver and Bowling Green will need to figure out how to stop him consistently. Portillo will have his hands full fending off a deep Michigan State beating corp and will need their quaffle players to create turnovers without beater play. Bowling Green will be able to put Michigan State just out of snitch range before the snitch is released. The last meeting between Ball State and Central Michigan at Ball Brothers was low scoring and this one should be more of the same. Both are used to playing methodical offenses. The big highlights are in the quaffle game. Keepers Tré Garzel and Nick Kaufman will steal the attention, but you will want to watch how Ball State contends with chasers Michaela May and Kim Taylor. 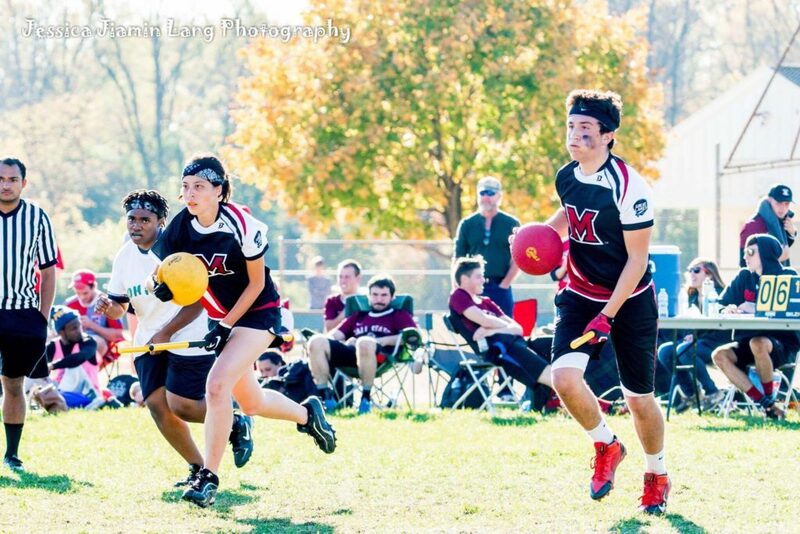 Bashore and Mary Owen can create offense, but their defensive abilities will be put to the test as they will likely be tasked with marking one or both of Central Michigan’s chasers. If they can deny them good looks around the hoops, it will severely lessen Central Michigan’s offense. The curse of Michigan State beating Michigan in the quarterfinals has not been relevant since the switch to the Great Lakes region; however, this is also the closest these two have been in talent since their Midwest regional matchups. With three time slots left, this game fits the bill as a substitute quarterfinal. An upset this late could throw standings, bid allocation and possibly the championship out of whack. Michigan should win this game, but it would be fun to see the curse renewed. Both teams should already be locks at this point with bids safely secured, but this matchup will still have pride at stake. This will be the first time these two teams meet this season. Whoever is able to impose their pace on the game should take it. Both can run so a fast-paced game doesn’t outright favor Miami, but they are certainly the better team in that aspect. There is an asterisk because this game may not matter. Lake Erie and Ohio Glory could have swept one another. If this game matters, watch this game. But if one team is up 2-0 at this point in their series, then try to do the math to figure out if Grand Valley vs Michigan State or Michigan vs Ohio State will have bid implications. I am not a fortune teller, but my bet would be Michigan vs Ohio State will be a high-stakes game. The last round of the day could hold the weight of a bid or a regional title. The most-recent match between Bowling Green and Miami at Ball Brothers was in-range, but each were missing their top beaters. Look at Portillo and Dye/Sami Ludwig facing off against O’Murchu/Brechting and McDonald.